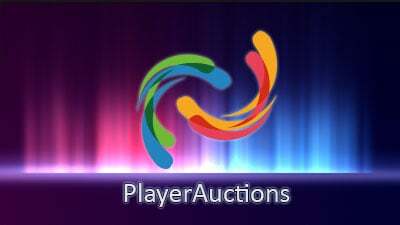 Everyone knows that PlayerAuctions dominates as THE platform for trading MMO goods. What everyone may not know is that people can also sell REAL world stuff on PA. That’s right, gamers, it’s time for us all to step out of our PlayerAuctions comfort zone: please welcome DXRacer Gaming Chairs as the newest arrival to our marketplace. [ezcol_2third]Design, colour, fabric, height, comfort, ergonomics?? There is nothing low key about DX Racer’s state of the art Gaming Chairs. In addition to one of the most comprehensive game libraries around, we will now be selling tangible gaming goods. The PA marketplace has been growing steadily over the last few years, and we now have one of the most comprehensive game libraries around. Your feedback has supported that growth and was a vital part of the decision to enhance our offer listings with new and exciting products like DX Racer Gaming Chairs. DX Racer has been kind enough to give us one of their Chairs to test run…and we are not disappointed. They are, in a word, awesome. We will be launching new and exiting products. DX Racers Chairs are built to meet internationally accredited standards – TUV and BIFMA no less – and we have a range of different models currently available in our marketplace. The chairs have a set of cool features which are made all the better by features unique to each chair. It is this level of detail which sets DXRacer Chairs apart. Want a specific fabric type? There is a chair for you. Want to take a powernap in a horizontal position between raids? There is a chair for you. Are you a larger fella who appreciates some extra legroom and back support? There is a chair for you. For the full specification check the product description for each chair on our marketplace. For now, however, these are the chairs we currently have. For a limited time, we are offering a $50 Player Auctions market credit, a $25 iTunes gift card, OR a $25 Amazon gift card, PLUS free shipping, with any purchase of a chair! There are, of course, some technical differences between trading MMO goods and trading tangible goods like chairs. However, the process is not something any of you tech savvy readers should be unfamiliar with. For instance, during the checkout process, the only additional step will be entering a delivery address and specifying a delivery method. After that, the good people at DX Racer will take of the rest. For more deets, check out DX delivery terms and conditions the image below, and our Gaming Gear FAQs. We really hope that you are as excited as we are about this new product launch, and not that you need an additional incentive, but we are offering $50 Player Auctions market credit, a $25 iTunes gift card, OR a $25 Amazon gift card, PLUS free shipping with any purchase of a chair! These chairs are the first in a long line of exciting products which we will be adding to the marketplace. We would like to say more but we don’t want to ruin the surprise. Enjoy!